Photo courtesy of Apfelgruen, from Pixabay. Copyright: Pixabay license. For whom is our Fun class? For people who want to just keep nice and busy with their dog in the long-term. Just like you would play tennis for years, you can keep coming to the fun class for years. Want to spend quality time with their dog. 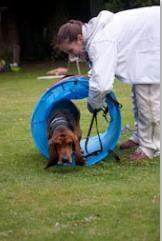 Want to improve their contact and bond with their dog through fun, relaxing exercises. 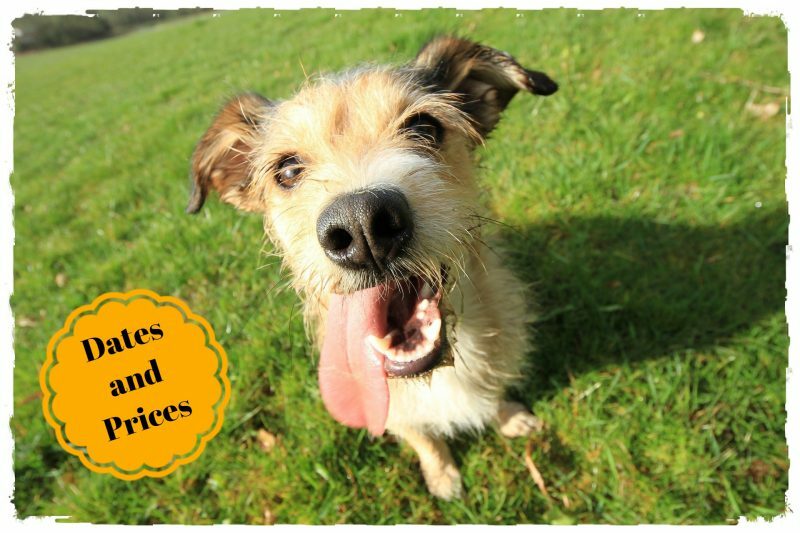 Want new inspiration for fun games and exercises to do with their dogs on a walk or at home. Have completed an ealier course, like the puppy course, and are waiting for a few weeks before starting with their obedience course. Have completed their obedience courses, and want a long-term activity for their dog. Have a dog whom, due to an injury or age, is not suited for dog sports, but who want to keep the dog active and challenged. Have a young dog who is not yet allowed to take part in more physical sports, but who would like to get the dog introduced to them in small doses. The exercises and games come from various dog sports that we have combined for you to keep the course fresh and challenging, also for the long term: Balance and coordination, Hoopers, Nose work, (Pre-)Agility, Doggie dance, Brain games, Tricks training, Platform training, and much more. The lessons are given in a relaxed and interactive atmosphere. Nice and busy with your dog, with relaxing and fun activities. Playful, varied exercises without any pressure or intimidation. Fun for human and dog. And, implicitly, a vastly strengthened bond and smoother collaboration between you and your dog, with even greater trust, attention and understanding for each other. All temperamentally suited dogs are welcome to the Fun classes. The lessons are a good fit for dogs who can relax in the presence of other dogs or unfamiliar people (so no aggression or fear). 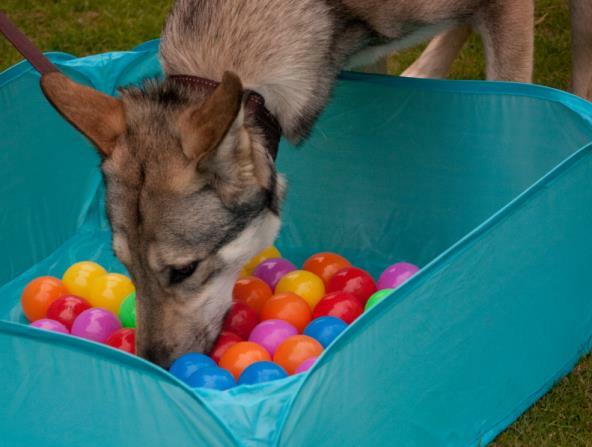 We will take into account any physical limitation that you inform us of, and the lessons are open to dogs of any age. Should your dog suffer from a medical problem for which certain physical activities are ill-advised, indicate this on the application form.